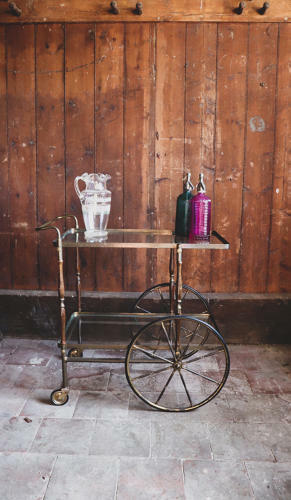 Mid century brass and wooden Italian drinks trolley. In good order - wheels move freely. Original glass. Has one stapled repair in one of the wheels which can be seen clearly from the photo.